The European Union's competition regulators have slapped Google with a €1.49 billion fine for allegedly blocking rival online search advertisers. The search giant "abused its market dominance by imposing restrictive clauses in contracts with third-party websites," said Margrethe Vestager, who announced the penalty at a press conference in Brussels on Wednesday. 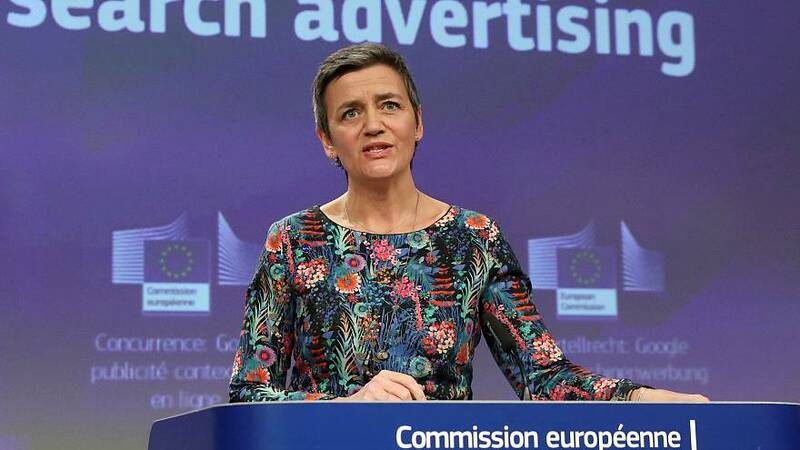 "Google has cemented its dominance in online search adverts and shielded itself from competitive pressure by imposing anti-competitive contractual restrictions on third-party websites", Vestager, EU commissioner for competition, said. This fine is the third handed down to Google by the EU in two years. In 2018, the EU competition enforcer imposed a record €4.34 billion fine on Google for using its popular Android mobile operating system to block rivals. This followed a €2.42 billion euro penalty in 2017 for hindering rivals of shopping comparison websites.